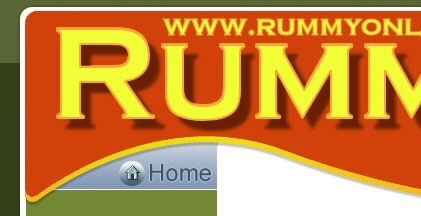 The Rummy News and Articles pages explain a little more about what is going on with online Rummy. We'll bring your the latest online happenings, news of tournaments and winners. Stay tuned for more news and articles as the stories become apparent. Find out more about the new Okey or Turkish Rummy games available and learn how to play the game with our Play Okey and Turkish Rummy Tutorial! Turkish Rummy or Okey is very popular in Turkey and is an interesting game to play. Learn Rummy 500 - We've just added a great Rummy 500 interactive tutorial. You'll be playing this fun and exciting version of rummy in minutes. Rummy Games and Online Promotions - Rummy500 is now available to play after you requested it. One of the most asked for rummy variants ever! We've also a new tournament schedule with loads of freerolls. Rummy Games and Online Promotions - Rummy is more popular than ever and so we're giving away big bonuses and tournaments to celebrate. Rummy Freeroll Tournaments and Rummy News - Rummy Freeroll Tournaments and more rummy news, highlighting the latest offers and freeroll tournaments for you to enter. New Online Rummy Games - Due to the increasing popularity of Kaluki or Kalooki Rummy Games, we've increased the amount of variants on offer, check out what's available to play or try our how to play interactive tutorials. The Rummy Dictionary - This article provides players with a unique quick reference guide to the common terms and terminology used by Rummy players. It can be useful when explaining the rules to someone or just giving a brief overview of the game. New Rummy Features and Tournaments - July 08 - We see some new features added this month including Speed Tournaments and Bigger Prizes. Also, did you know you can fund your account with Paypal? Rummy Freerolls - Your chance to take part in mid-week freeroll tournaments running twice weekly for the whole month. More details and schedule of events, right here. Euro 2008 Rummy and Kalooki - June 08 - Love it or hate it, we've Rummy and Kalooki freerolls for you to take part in to celebrate the Euro 2008 football competition. Mother's Day Oklahoma Tournament - Treat yourself this Mother's Day to a unique Oklahoma tournament with a $700 prize pool. Rummy Games - April '08 Promotions - Our player numbers are climbing rapidly so we've more freeroll and money tournaments for you to play in and enjoy. Rummy News - March '08 Promotions - The latest big tournament information and freeroll schedules.